Mike Wallis is a developer who worked with Sega of America from late 1994 to help produce several Mega Drive-Saturn era titles. These titles include The Ooze, Comix Zone, Sonic 3D: Flickies' Island, and the canceled Sonic X-treme. Prior to this he worked for Electronic Arts. Expression error: Unrecognized word "styl".Expression error: Unrecognized punctuation character "�".Expression error: Unrecognized word "styl".Expression error: Unrecognized punctuation character "�".Expression error: Unrecognized word "styl".Expression error: Unrecognized punctuation character "�".Expression error: Unrecognized word "styl".Expression error: Unrecognized punctuation character "�".Expression error: Unrecognized word "styl".Expression error: Unrecognized punctuation character "�".Expression error: Unrecognized word "x". 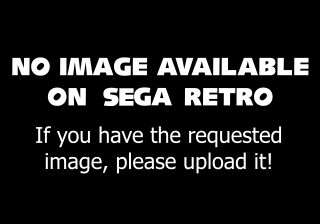 Some or all of the following content should be mirrored on Sega Retro (or Retro CDN).